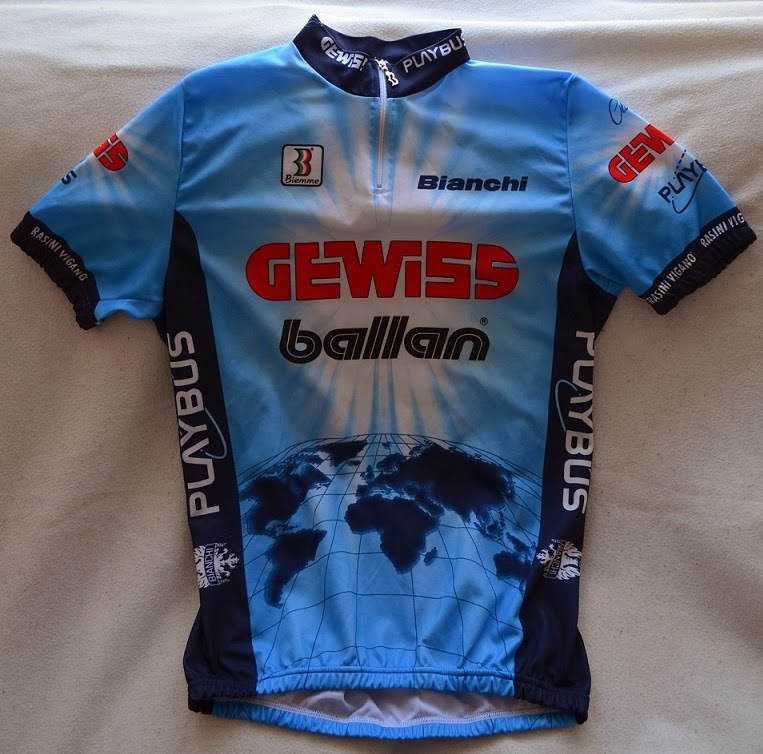 Team Gewiss Ballan was a Team which was created in 1994, at first they had De Rosa Bikes, but in 1995 they changed into Bianchi. 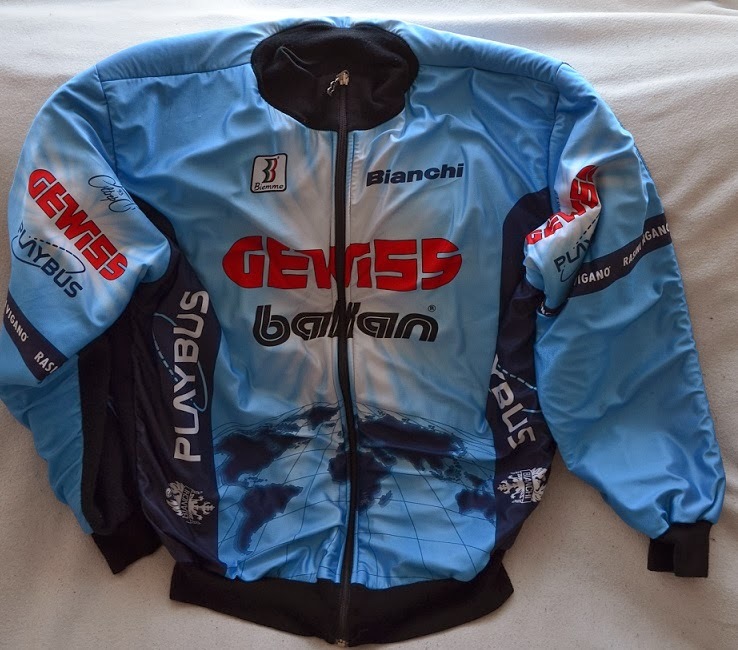 The General Manager of the Team was Emanuele Bombini, and the Team excisted also in 1996, but then under the name Team Gewisss Playbus. 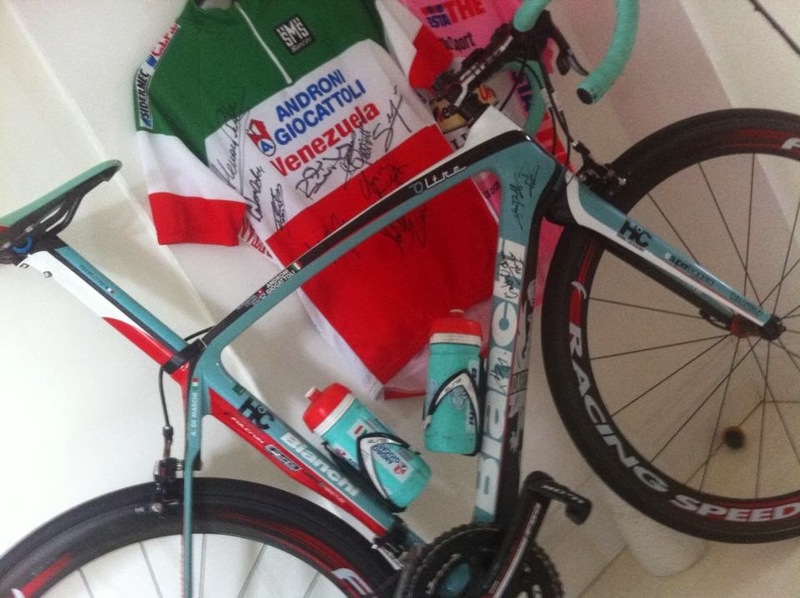 Items from this Team is pretty hard to find, I just missed a Teambottle from this Team on Ebay, and I cross my fingers that a new one will appear soon again. 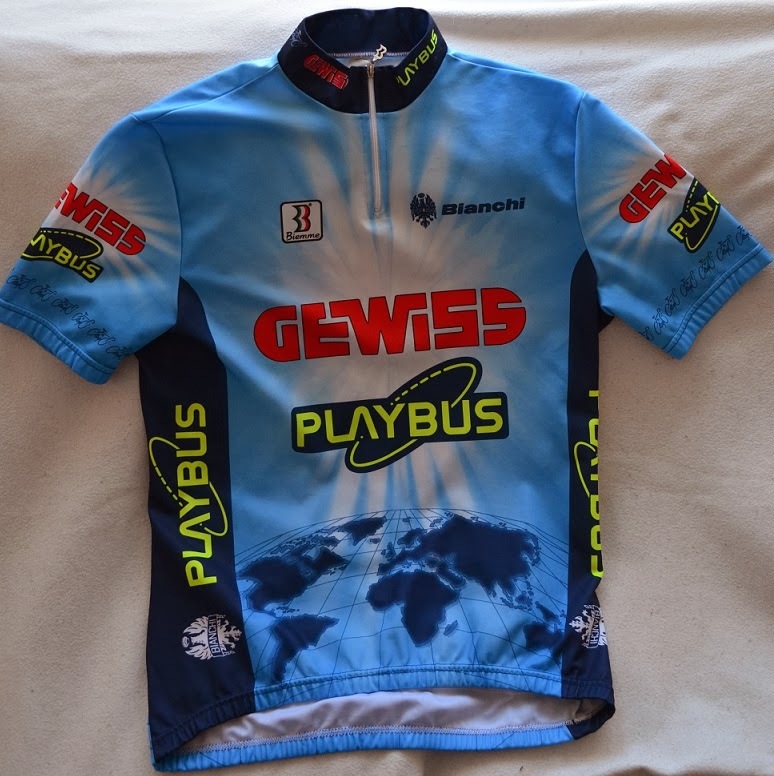 Jerseys are pretty easy to find, but bibs, gloves, caps and other accessories is almost impossible to find, I was very lucky when I found a pais of Bibs a year ago, and also from a former pro of Team Gewiss Playbus, it´s very common that riders of pro teams cut the bibs in the end of the legs. Maybe they doesn´t need the rubber to keep the fabric in place as we ordinary bike riders need. That´s all from now, continue to look, updates as soon as I take new photos.